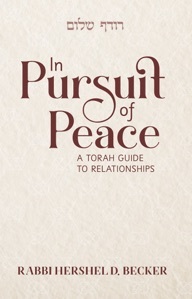 In Pursuit of Peace: A Torah Guide to Relationships is his second book. His first book, Love Peace: Blueprints for Lasting Relationships, is also available in Spanish (Ama La Paz). 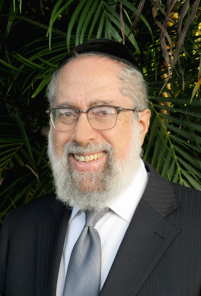 In this new volume of Rabbi Becker’s wonderful series of books bringing the wisdom of the Torah to daily life, he once again show his gift for sharing practical and highly useful messages rooted in timeless Troah wisdom. Each essay can serve as an invaluable springboard for sparking discussion. These highly readable and relatable essays convey important lessons on living a life imbued with wisdom about interpersonal relationships and enduring values. I highly recommend this book.